We want to accommodate more families, so if you would benefit from an 8.30am start please get in touch. 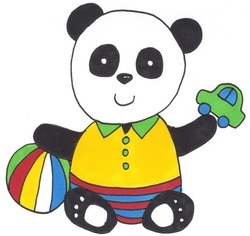 From the age of two, children are eligible to join Panda Playgroup. The playgroup is registered with OFSTED and is a member of the Pre-school Learning Alliance. Our aim is to provide your child with the best support and care as they take their first steps towards starting school. Children are encouraged to pursue their own interests through free play as well as join in group activities such a snack, story and song time.